Quick! Write this down! 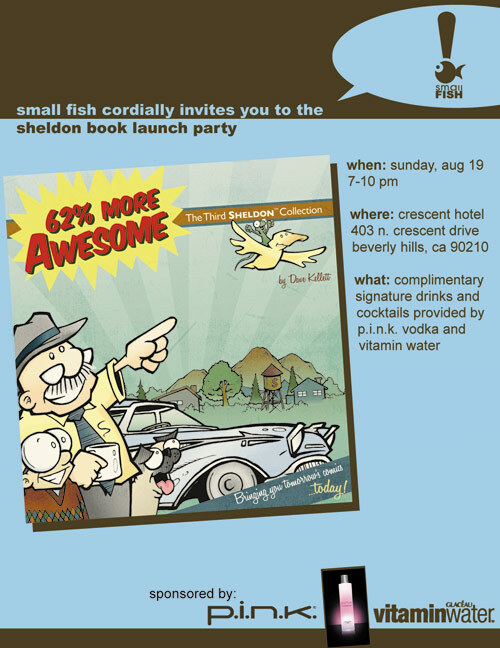 The book launch party for "62% More Awesome" is comin' up: Sunday, Aug. 19th, from 7-10 PM -- with free drinks from P.I.N.K. Vodka and Vitamin Water. The party will be held at the very, very cool Crescent Hotel in Beverly Hills. We'll be in their luxury lounge -- the one with the awesome, double-sided, indoor-outdoor fireplaces. The signature drinks are free, sketches are free, and high-fives will be handed out at near rock-bottom prices. If you live in Southern California, this is a fun, free night out that you won't want to miss. Come on out!